We are passionate about fish and supply some of the finest regional seafood, responsibly sourced from around the globe. In addition to supplying the finest fish available, the following are also available to our customers: Menu development with seasonal availability advice. Menu analysis with sustainability scoring. 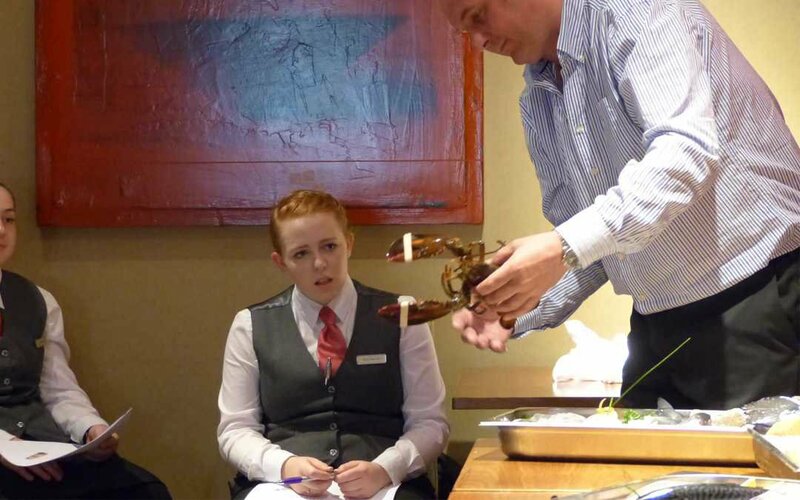 Menu seafood training for front of house staff, to improve sales and menu knowledge. Educational visits to local wild fish auctions for chefs to understand their seafood’s provenance. Monthly Market report including buyer recommendations. We have highly skilled processing staff that take and process orders daily on site. We have our own buyers, technical team and sales teams that work directly with our chefs. We remove the “middle men” by purchasing from the best regional sources of supply. We have access to the largest fishing communities buying daily at the local auctions procuring the finest seafood. We have strong connections to our local fishing communities. We work with local fishermen and organisations to promote their sustainably caught seafood, delivering unrivalled provenance. Our buyers source produce globally to achieve direct import into the UK; Fresh Tuna, farmed Bass and Bream, Prawns and Squid etc. You can trust us to know and understand where every product comes from. We can even tell you the name of the boat and skipper who caught your Dover Sole this morning or your Cod from the Barents sea! All products have full traceability. All our suppliers are fully audited. All of our depots hold BRC accreditation Grade “A” and above, in Global Standards for Food Safety.